VASANTHI Vs. VENUGOPAL (D) THR. L.RS. Respondent: VENUGOPAL (D) THR. L.RS. 12. Though this Section was amended by the Amendment Act 46 of 1999, reference thereto is avoided as the said amendment was not given effect to. (b) The transferee has, in part performance of the contract, taken possession of the property or any part thereof, or the transferee, being already in possession, continues in possession in part performance of the contract; (c) The transferee has done some act in furtherance of the contract and has performed or is willing to perform his part of the contract. 20. In terms of this provision, if the above pre-conditions stand complied with, the transferor or any person claiming under him shall be debarred from enforcing against the transferee and person(s) claiming under him, any right in respect of the property of which the transferee has taken or continue in possession, other than a right expressly provided by the terms of the contract, notwithstanding the fact, that the transfer, as contemplated, had not been completed in the manner prescribed therefor by the law for the time being in force. Noticeably, an exception to this restraint is carved out qua a transferee for consideration, who has no notice of the contract or of the part performance thereof. 21. On a perusal of the evidence adduced, it transpires that the sale deed dated 26.6.1982 had been proved on behalf of the appellant/plaintiff. PW1 Subramanian, the husband of the appellant/plaintiff in his testimony has stated that at the time of purchase, when he enquired about the possession of the original defendant, his vendors told him that he was in occupation of the premises as a tenant and that after the purchase, as he (original defendant) refused to pay the rent, the application before the Rent Controller, Cuddalore was filed for his eviction therefrom and it was in that proceeding, that the original defendant disclosed about the agreement for sale, whereafter the suit had to be filed seeking declaration of title and possession. This witness categorically denied about his knowledge of such agreement for sale at the time of purchase. 22. PW2 Deenadayalan, one of the sons of the original owner Ramnathan Chettiar on oath affirmed the execution of the sale deed dated 26.6.1982 in favour of the appellant/plaintiff for a consideration of Rs. 35,000/-. Though, this witness admitted the agreement for sale between the original defendant and his father, he mentioned that on enquiry, his father had told him that the agreement had lapsed as the purchase was not made within time. This witness also categorically stated that he did not disclose about the agreement for sale to the appellant/plaintiff and instead had disclosed to her husband that the original defendant was only a tenant in possession of the suit property. 23. As against this, the respondents, amongst others sought to rely on the testimony of DW1 to the effect that he had always been ready and willing to perform the contract and also in the reply to the notice sent by the vendors of the appellant/plaintiff conveying the cancellation of the agreement, he reiterated his readiness and willingness to get the sale deed, on the basis of the agreement for sale, executed. 24. The attendant facts and the evidence on record, though demonstrate that an agreement for sale of the suit property had been entered into on 20.5.1975 between the predecessor-in-interest of the vendors of the appellant/plaintiff and the original defendant and that an amount of Rs. 26,000/- had been paid by the latter for which the possession of the suit property had been delivered to him, to reiterate, adequate evidence is not forthcoming to convincingly authenticate that the proposed purchaser and thereafter his heirs i.e. the present respondents, had always been ready and willing to perform his/their part of the contract, which amongst others, is attested by his/their omission to enforce the contract in law. His/their readiness and willingness to perform his/their part of the contract is also not pleaded in the written statement in clear and specific term as required. Further the materials on record also do not testify in unequivocal terms that at the time of purchase, the appellant/plaintiff had the knowledge/information of such agreement for sale or the part performance as claimed, so as to repudiate her transaction to be neither bona fide nor one with notice of such contract or the part performance thereof, as comprehended in the proviso to Section 53A of the T.P. Act. 25. 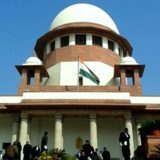 The fact that at the first instance, the appellant/plaintiff had filed an application before the Rent Controller, Cuddalore for eviction of the original defendant as a tenant, also attests her ignorance at that point of time of the agreement for sale and his occupation of the premises in part performance thereof. 26. This Court in Shrimant Shamrao Suryavanshi and another vs. Pralhad Bhairoba Suryavanshi by Lrs. and others (2002) 3 SCC 676, while tracing the incorporation of Section 53A in the TP Act, vide Act of 1929, acting on the recommendations of the Special Committee on the issue, had ruled that mere expiration of the period of limitation for bringing a suit for specific performance would not debar a person in possession of an immovable property by way of part performance from setting up a plea, as contemplated therein in defence to protect his possession of the property involved. It was however underlined that if the conditions precedent, as enumerated, in Section 53A of the Act, are complied with, the law of limitation would not come in the way of the said person to avail the benefit of the protection to his possession as extended thereby even though a suit for specific performance of a contract by him had gone barred by limitation. Explicitly therefore, though mere expiry of the period of limitation for a suit for specific performance may not be a bar for a person in possession of an immovable property in part performance of a contract for transfer thereof for consideration to assert the shield of Section 53A of T.P. Act, it is nevertheless imperative that to avail the benefit of such protection, all the essential pre-requisites therefor would have to be obligatorily complied with. 27. In A. Lewis and another vs. M.T. Ramamurthy and others (2007) 14 SCC 87, it was propounded that the right to claim protection under Section 53A of T.P. Act would not be available, if the transferee remains passive without taking effective steps and abstains from performing his part of the contract or conveying his readiness and willingness to that effect. 28. Added to this, to reiterate, is the proviso to Section 53A of T.P. Act which excludes from the rigour of the said provision a transferee for consideration, who has no notice of the contract or of the part performance thereof. 29. In the contextual facts, as obtained herein, the materials on record do not unmistakably demonstrate that the original defendant during his lifetime and on his demise, his heirs i.e. the respondents had been always and ever ready and willing to perform his/their part of the contract and that the appellant/plaintiff had notice either of the agreement for sale or the fact that the original defendant had been in occupation of the suit premises by way of part performance of the contract. 30. Apropos, Section 16 of the Act, 1963, specific performance of a contract cannot be enforced in favour of a person who, inter alia, fails to aver and prove that he has performed or has always been ready and willing to perform the essential terms of the contract which are to be performed by him unless prevented or waived by the other party thereto. As mentioned hereinabove, though there is an averment in the written statement that before the death of the predecessor-in-interest of the vendors of the appellant/plaintiff, the original defendant had requested him to execute the sale deed and after his demise, he made similar demands with them, evidence is jejune to irrefutably establish the readiness and willingness of his, during his lifetime and after his death, of the respondents, to perform his/their part of the contract. It is also not the case of either the original defendant or the present respondents that his/their performance of the contract had been either prevented or waived by either the vendors of the appellant/plaintiff or their predecessor-in-interest at any point of time. 31. Noticeably, the sale deed executed in favour of the appellant/plaintiff and proved in evidence has not been annulled as on date and is thus valid and subsisting. 32. On an overall view of the matter, we are of the opinion that the conclusions recorded by the courts below are based on an erroneous understanding of the prescriptions of Sections 53A of T.P. Act. The determinations made thus cannot be sustained. 33. On an appraisal of the evidence on record, on the touchstone of the above legal propositions, we are thus of the considered view, that though the LPA preferred by the appellant/plaintiff is not maintainable in law, the respondents are not entitled to the benefit of the protection of Section 53A of the T.P. Act read with Section 16 of the Act, 1963. 34. In the result, civil appeal filed against the judgment and order dated 31.7.2006, rendered in A.S. No. 124 of 1990 affirming the judgment and order dated 28.4.1989 passed in O.S. No. 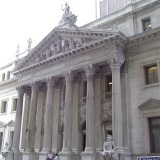 172 of 1987 is allowed and Civil Appeal preferred against the judgment and order dated 8.10.2007 passed in LPA SR No. 16958 of 2007 is dismissed. As a consequence, the suit filed by the appellant/plaintiff is decreed, as prayed for. No costs. …………………………………..J. (AMITAVA ROY) NEW DELHI; MARCH 21, 2017. Tags: CIVIL APPEAL NOS. 4311-4312 OF 2017DIPAK MISRA AMITAVA ROYVASANTHIVENUGOPAL (D) THR. L.RS.